Ambulatory Surgery Centers (ASCs) are health care facilities that are focused on providing same-day surgical care, including diagnostic and preventative procedures. They are part of a rapidly growing segment of alternate site outpatient care and considered to be more convenient and efficient than hospital-based procedures. All ASCs have at least one dedicated operating room and surgical equipment to allow physicians to safely perform surgeries and ensure quality patient care. 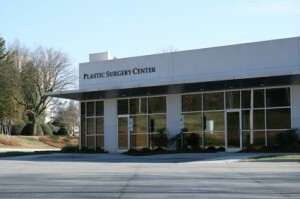 They are distinct freestanding facilities that may also be known as surgicenters, outpatient surgery centers, or same-day surgery centers. In addition, ASCs may be single surgical specialty or serve multiple specialties. Whether you know that you want to sell a surgery center to a hospital or investigating how to sell a surgical center to a management company, Ambulatory Alliances is one of the leaders in providing ambulatory surgery center M&A advisory services to physician owners, management teams, hospital health systems, creditors, equity investor board of directors, court appointed trustees, landlords, consolidators and private equity groups. Our approach is both thorough and strategic. We analyze the ASC, creating a list of recommended actions that will increase value and then assist in the execution of the agreed upon actions. We stay with our clients from the beginning, working through all phases of the sale process and beyond. We have worked with multiple physician-owned ASCs and assisted in the determination of the most advantageous time to sell. This allows the owners of the ASC to maximize fair market valuations, EBITDA and sales price multiples. It also provides solutions for operational issues that affect the outpatient surgical center’s value. Our advisory services cover sell-side and buy-side mergers & acquisitions; joint ventures and strategic alliances; turnarounds and workouts; assessment and evaluations of strategic alternatives; valuations; and raising equity and debt capital from local and commercial banks, finance companies, private investors, hedge funds, private equity and mezzanine/subordinated debt. Ambulatory Alliances has significant ASC transactional experience, superior negotiation skills, deep industry and operational knowledge as well as close relationships with major players within the market, making us your go-to choice in order to make complex ambulatory surgery center sales take place.